Hi Pascal! I'm an architecture visualizer and I really really think your plugin is wonderful! 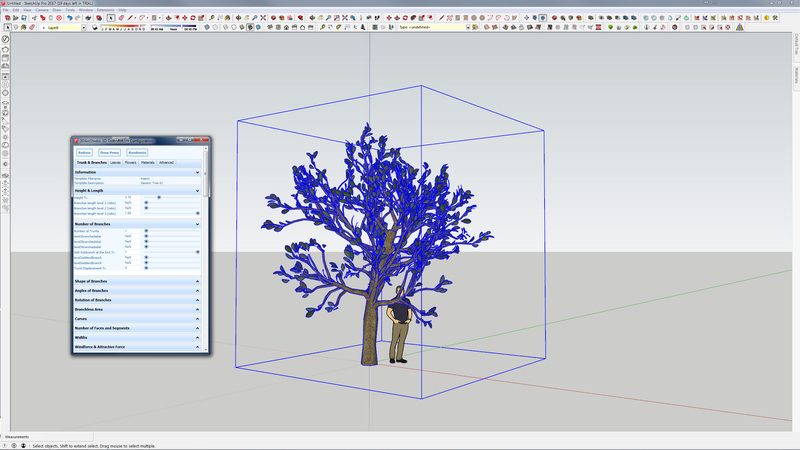 Finally a serious and versatile tree generator inside SketchUp! I especially like the "render proxy" feature: extremely useful when working with big and complex scenes. Speaking of which, I have a little request for you: I work with Indigo Renderer, and it also supports a proxy system to substitute complex models with lighter ones. You only need to apply the suffix "_dummy" to the desired proxy which will be exported and rendered as the original component (eg. "tree" and corresponding proxy "tree_dummy"). So first thing I did was checking the components window and see what happens when I convert one of your trees to a proxy: I saw nothing happens. The thing I'd like to ask you is if it's possible for you to add an option to save the dummy proxy to the components list, and maybe name it automatically "name"_dummy so that Indigo Renderer can recognize and export the complex tree model without having to re-render it (and make the SU scene heavy). ijmccoy wrote: is there a guide for it at all? Not yet, but I'm working on it... will publish it as soon as available. Which render do you use ? i've made tests with Octane, Thea, Kerkytea. I could try with your render with evaluation version. I know some issues with the renders I tested but with good results. Does this only appears with some trees ? in this case which one ? Could you post one example. - incorrect handling of UVs textures when material is applied to a parent group, not to the faces. 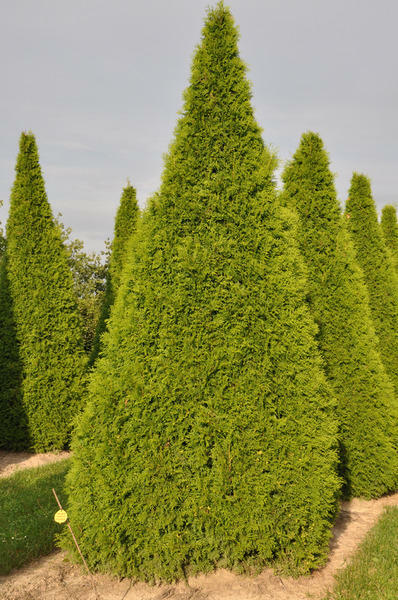 I'm not sure if you are in this case, but if you used trees with PNG textures, due to the render error on UVs, leaves may disappear because of the transparency part of their texture is not correctly placed. So I made a small script to fix it for trees. Could you test it and let me know if it works in your case. pibuz wrote: Speaking of which, I have a little request for you: I work with Indigo Renderer, and it also supports a proxy system to substitute complex models with lighter ones. You only need to apply the suffix "_dummy" to the desired proxy which will be exported and rendered as the original component (eg. "tree" and corresponding proxy "tree_dummy"). By the way this is maybe a good idea for a future Sketchup version to have a standard proxy/ghost management integrated. Maybe Chriss Fullmer is listening ? You now have two trees that looks the same but each has its own component definition. Take one of them, rename its definition name to “…_dummy”. You can now convert it to proxy (right click, change to proxy), and let the other one with full draw. Hide the other one in order for it not being rendered. Let me know if it works. If yes I can see how to integrate this operation into the code to ease the process. I use Thea4SU plugin and the problem with the leaves textures exists ( bad UVs leaves in renders) but I have installed the Tools Script and the problem is fixed now. but when I use Fix Texture Leaves Tool those components disappear, is that correct? I tested the tool too, and I confirm that this fixed the error (rendering with Indigo Renderer). In sketchUp - like Oxer - I never had any texture issues, BTW. From what I can see I think all these components are created or loaded by LightUp for Sketchup. I think it adds them to the model when a tree is drawn just bucause this plugin adds model or components or materials observers and add its own component when one of this list is changed. They disappears because in Tree Maker and I purge unused materials and unused components. pibuz wrote: I tested the tool too, and I confirm that this fixed the error (rendering with Indigo Renderer). In sketchUp - like Oxer - I never had any texture issues, BTW. Did you try the proposed method to render proxies with Indigo ? Let me know if it works, so I can see how to make it "scripted automaticaly" into the plugin. Made some tests with vRay without pb. I dont know much about how vray is working. If the problem occurs only on existing SU file, there maybe an issue with cache. Found this option you could try : "Clear folder texture cache"
The the funny thing is that I haven't installed LightUp, for this reason I don't know why these components are created when you place a new tree, perhaps another plugin is the guilty. I work on Mac and this path in OS X doesn't exist. Oxer wrote: The the funny thing is that I haven't installed LightUp, for this reason I don't know why these components are created when you place a new tree, perhaps another plugin is the guilty. "never let a bug, Oxer will point it"
It's my problem I'm very perfectionist. See the flower13 it has another layers too. I am looking for a talented power user of 3D Tree Maker who can support me with creating some trees and plants for professional use. I am willing to spend some dollars for your effort. Please drop me a line if you are intested and give me some background information about you. Inside the leaves do not want to not load. hi, i have found a good site for leafes and other think. Is there a Tree Maker plugin for Sketchup 8 ? And where do I get it ? The ones that I DID find are for Collada. Is this plugin still actively supported by the developer? I purchased a license expecting to get a more comprehensive library of trees and grass but after keying in the license, no change of tree collection from the free version. I've had an email back from ppoublan to say he is hoping to get this fixed in the new year. has anyone got this to work with su2017? It sure would be nice to know if this will ever work or its just a lost-cause?